For our annual Halloween party, we needed a family themed costume. 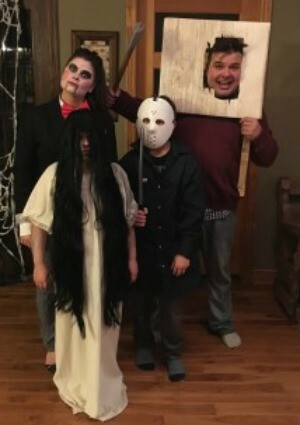 We wanted to do something a little different and came up with each of us being iconic horror movie characters (keep in mind our kids had no clue who these characters were!). My goalie son just had to be Jason and my daughter with her long hair the girl from The Ring. 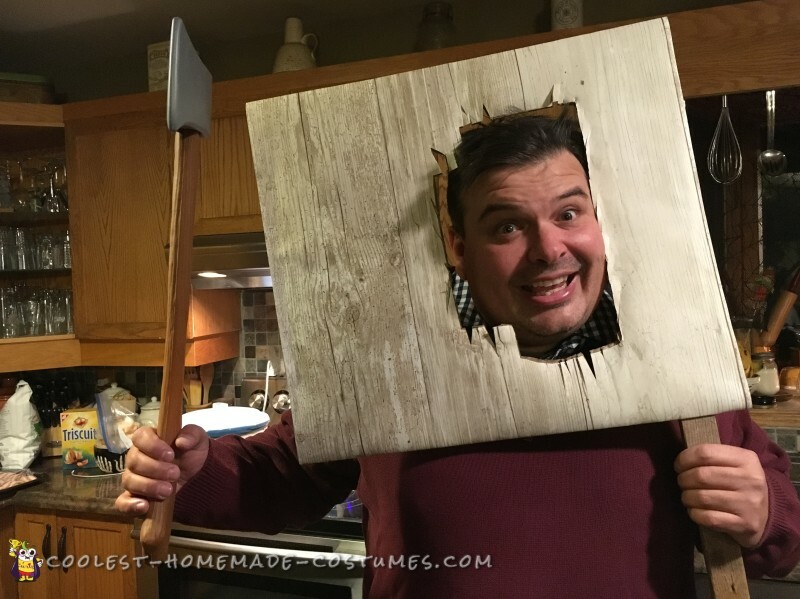 I thought my hubby would look cool as Jack Nicholson’s character from The Shining (complete with axed-through door frame) and myself as Jig Saw from Saw. Each costume was fairly simple to make and almost everything came from thrift stores and dollar stores. The door frame for my hubby is a cut up card board box covered in a wood-print wall paper I salvaged from another project. For the party I made labels with our character name and movie…they were the Horror Movie Character Convention name tags. 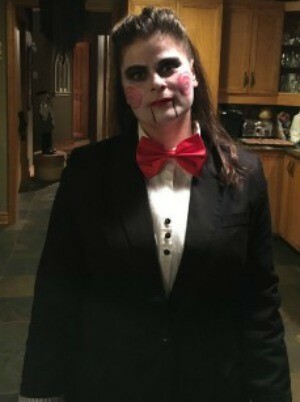 We were creepy and an unexpected family Halloween costume.